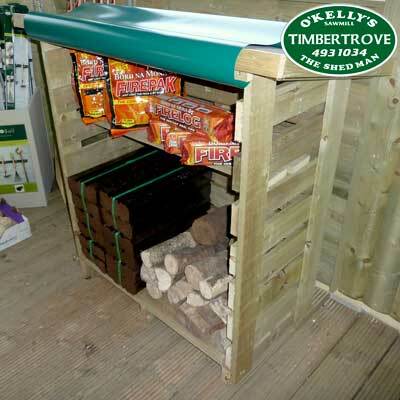 Timbertrove's Log Store Unit is a convenient and stylish storage area for your firewood, turf and briquettes. Manufactured with 95mm x 22mm pressure treated timber with a slight gap between the boards to encourage air flow to the logs, and a sloped felt roof to allow rain water runoff. This product is high quality, low maintenance and long lasting. 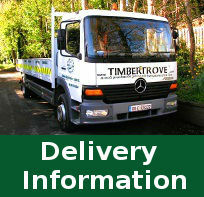 Heavy duty PVC nylon cover also available at an additional cost, starting at €25. This product can be custom made to your requirements.